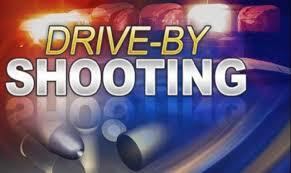 Four juvenile males were hit and injured in a Friday night drive-by shooting. According to Stockton Police, the four victims were walking near Tam O'Shanter and Castle Oaks drives around 9:30 p.m. on Friday, May 26, when a vehicle approached them. The suspects, who were described as either two or three Hispanic or Asian males, opened fire. All four victims where hit and sustained non-life threatening wounds. The suspects were driving a vehicle described as a red, two-door car. No Comment to " Four Juveniles Struck, Injured in Stockton Drive-by Shooting "